Safeerah has been a part of First Story – a literary charity, where she has had her work published in four anthologies during her school years. She loves experimenting with words and making sure she breaks all the rules when it comes to writing poetry. She was a speaker for TEDxTeen 2016 where she shared her poetry to a global audience. 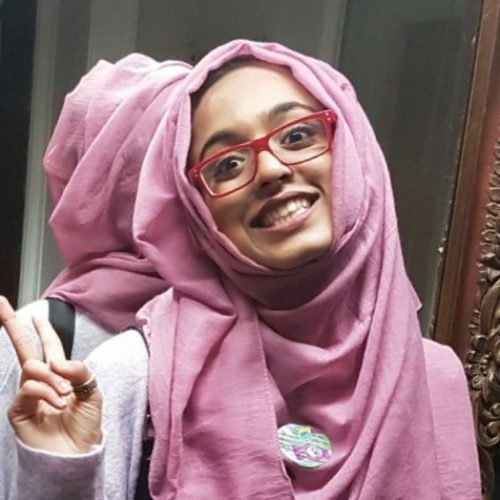 Safeerah went on to be a judge for Young Muslim Writers Awards 2016 having won the poetry and short story awards in 2015. She’s going to be studying English Literature and Creative writing at London Southbank University.